Alphabetical list of soldiers of the 120th OVI with links to their Companies. We are looking for a better copy of this photo. I have contacted Smithville historical to look for a copy. This was in the Smithville booklet Celebration Of The American Revolution Bicentennial. Here is a new identification list compared with the old one. listing of the officers in Company H in the Roster of Ohio Soldiers. died 1896 4 Ike Miller ? died 1915 10 George Miller ? 13 Joseph U. Bricker, Pvt, age 19 Always a Private. Company H "Marching by Plattoons"
Company H at ?Plaquemine, Louisiana. Could they be wearing their new uniform coats? Mustered in Oct. 14, 1862 at Camp Mansfield, O., by Alexander E. Drake, Captain 2d Infantry, U.S.A.
Consolidated with the 114th O.V.I. Nov. 27, 1864. Majority signed for 3 years. Those who died in service are marked with a red *. Record of events: our company left camp Mansfield Oct 25 came by Railroad to Cincinnati from there marched to our present encampment near Covington Ky arriving Oct 26~'62. Nov and Dec, 1862 shows station of company Battlefield near Chickasaw Bluffs Miss. Record of events: Left Covington Ky Nov 24th arrived at Memphis Tenn. Dec 7- Left Memphis with a fleet bound down the Miss. Dec 20 -'62 and landed up the Yazoo 12 miles from its mouth Dec 27th was brought into action on the 28th near the Chickasaw Bluffs Miss. we sustained a loss of 2 wounded one severely wounded in the side the other slightly wounded in the head The company has since been on duty in the field. Jan and Feb 1863 shows station of company Young's Point La. Record of events: Jan 1st at this time the Federal force was withdrawn by Gen. W. T. Sherman from the Chickasaw Bluffs. Our Co returned to the transports and next morning steamed down the Yazoo and up the Miss Jan 9th proceeded up the White River to the "cut off". Thence across to the Arkansas and up it and Jan 10th landed 4 miles below the Fort "Arkansas Post" The engagement for the reduction of this fort commenced on this day and on the next day at 1 pm we were brought into action on the extreme left near the rivers bank and advance to within 120 yds of the entrenchments. 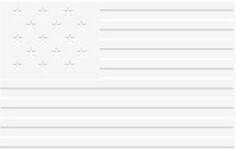 Here we had 1 man wounded in the hand at 4:30 pm a white flag was exhibited on the fort when we again pushed forward and our regt claims the honor of being the first to plant its colors on the Rebel Fortress. Jan 15 returned to the transports steamed down the river and Jan 23rd landed and encamped at Youngs Point La where we yet remain. Special Muster Roll Apl 10th 1863 shows station of company Smith Plantation Madison Parish La. Record of events: Mar 11th moved from Youngs Point La to Millikens Bend where we remained till April when we marched to Richmond La 14 miles thence 14 miles to Smiths Plantation La on the Roundaway Bayou crossed the Bayou marched via New Carthage 8 miles to Perkins Plantation, Tensas Parish, La. here we remained till Apl 28-'63 when we moved on Transports to a point near Grand Gulf and on the 29th witnessed the bombardments of the batteries at the point of Rocks. Same night marched down the levee to Hard Times Landing and on Apl 30 moved on the Transports to the mouth of Bayou Pierre Miss. when [whence to?] Port Gibson Miss. May and June 1863 shows station of company, Camp near Black River Depot, Miss. Record of events: May 1st was in the battle at Thompsons Hill [Port Gibson], when the company had three men wounded, Viz; Corp Mylar slightly in the foot, Eli H. Kelly severely in the hand, Bigelow Buzzard seriously in the side. the enemy being defeated we pursued him Via Raymond (where we arrived May 14th and remained till May 18th) and Black River Depot to his works about Vicksburg. we took part in the siege from May 19th till May 24th when we were sent back to Black River Depot where we are now encamped. 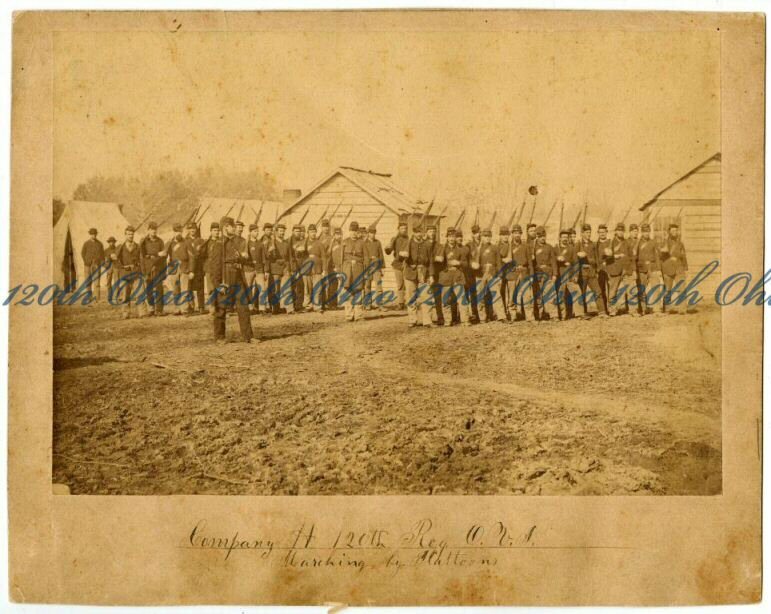 July and Aug 1863 shows station of company, Carollton, La. Record of events: July 6th marched to Jackson and engaged the Rebs till on the 17th when they retreated Returned to Vicksburg and encamped. Got on the transports on the 8th day of Aug and landed at Port Hudson on the 9th where we encamped till the 18th, when we embarked on the transports again and came down the river to Carollton where we are now encamped. Sep and Oct 1863 shows station of company, Camp near New Iberia, La. Record of events: Left Carrolton La Sept 5 Came by steamer to Algiers La. Thence to Brashiar [Brashear] City by rail-road. Sept 25 crossed to Berwick Left Berwick Oct 3rd and have since been in the field. Nov and Dec, 1863, shows station of company, Plaquemine, La. Record of events: left Iberia La. Nov 7th Marched Berwick La. arriving there Nov 11. Nov 18 crossed the Bay to Brashear City Nov. 19 came by railroad to Terrabone Marched thence up the Laforche to Donaldsonville Thence by steamer to this place. Arriving here Nov. 21st. Jan and Feb, 1864, shows station of company, Plaquemine, La. 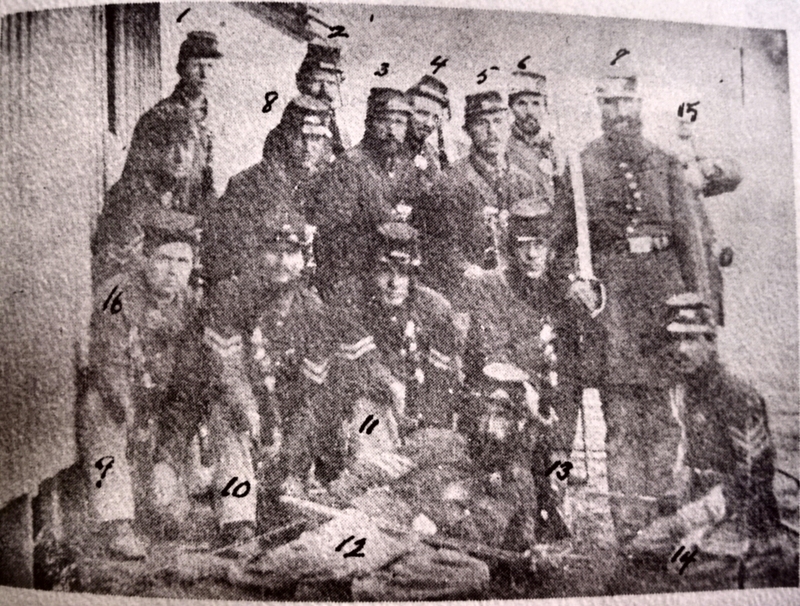 Record of events: Company has been at the station during the time included in this muster. Mch and Apl, 1864, shows station of company, Baton Rouge, La. May and June, 1864, shows station of company, Morganzas Bend, La. May 3rd left Baton Rouge La for Alexandria May 3rd while on board the steamer "city Bell" were attacked by a force of guerrillas near Ft. Denessey [DeRussey]. Twenty seven men of Co H were taken prisoner, four of whom have since returned - one wounded - marched to Alexandria and back to the place where Gen Banks evacuated ?al. July and Aug, 1864, shows station of company, Morganza, La. Sep and Oct, 1864, shows station of company, Mouth of White River, Ark. No muster out roll of Co. The file for each soldier is a pdf file. Click on the name to view the file. You can download the Adobe pdf reader free here. But try to open the pdf files first. Your computer may already be able to open them. If you want a bio of one of the soldiers, the list below is for you. If you want a snapshot view of the Company, click here for the spreadsheet summary of the men of the Company. FOSS, John J. A. I have nothing. Help! but can not be taken for commercial purposes.